Previously, when smartphone technologies were not yet too developed as today, gamers must use specialized gaming machines. On those console systems, many game legends have been born and are still mentioned a lot today. METAL SLUG is a famous game released on many platforms such as Gameboy, GBA, DS and supported by tens of millions of people around the world. Currently, there are even players playing this game on those devices. But thanks to the strong development of smartphones, people do not need to spend too much effort to bring a gaming machine just to experience such a game. For Android users, it is easy to download a more modern version of the game right on Google Play. 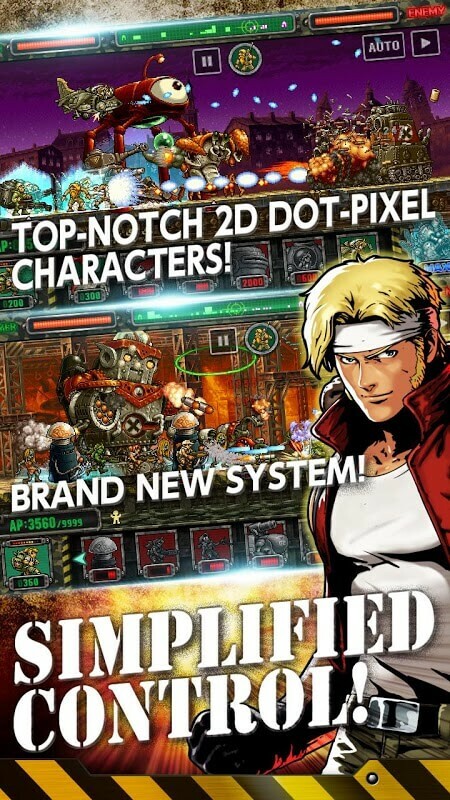 It is called “METAL SLUG ATTACK,” which is almost identical to what the other franchise owns. Even its graphics are intact; there is not much change in shaping. This reminds memories and gives players a nostalgic memory. The old game has had a significant improvement, but “METAL SLUG ATTACK” still has to improve the processing speed to be compatible with today’s high demand. If you still have doubts that this product will not be able to satisfy itself like the console version, then rest assured. “METAL SLUG ATTACK” is the main product produced by SNK Corporation. This means that everything in the game is original; there is no content to copy and fake. 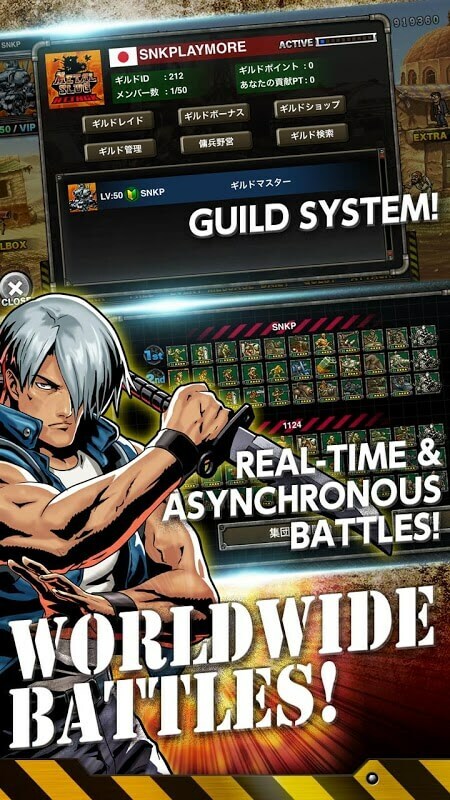 As a result, the game recently broke its old record and reached over 10 million downloads. 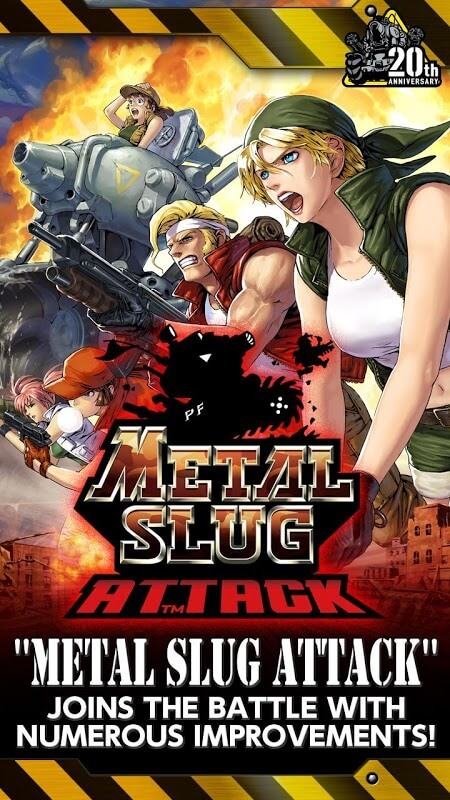 If you like this franchise METAL SLUG, you can also log into SNK’s repository to search. They also have many versions of this game, contained in the Google Play platform. All of them can be downloaded for free and play comfortably. Everything is almost unchanged in the basic gameplay so fans will quickly recognize the lovely traits that they have experienced. In fact, the gameplay of the game is also very comfortable, so it is easy to learn if you are a novice to it. The most challenging thing is to set yourself a proper style and start practicing with it. Mastering a strategy is not an easy task because you will have to deal with a lot of remedial tactics. The player must practice a lot, predict the unfavorable variables and give solutions to overcome it. You will have to build an army yourself in “METAL SLUG ATTACK” to protect your stronghold from enemy attacks. They will constantly spill up to attack your squad to destroy the buildings you have built. But that is not easy, control your troops to go out with a suitable tactic, protect the vital place. Besides, you must control special skills to turn the battle around if necessary. 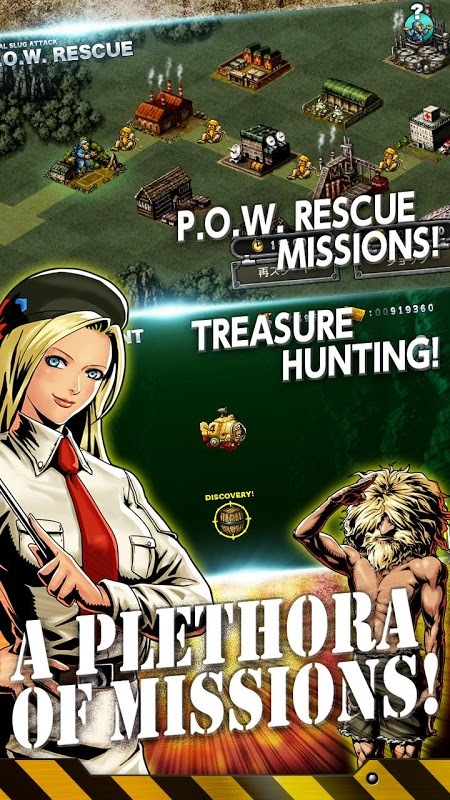 “METAL SLUG ATTACK” will have many different game modes for you to experience such as “POW RESCUE,” “COMBAT SCHOOL” or “TREASURE HUNT,” and more being updated. Each mode will have different variations in the gameplay, and the rewards will also vary according to its difficulty.